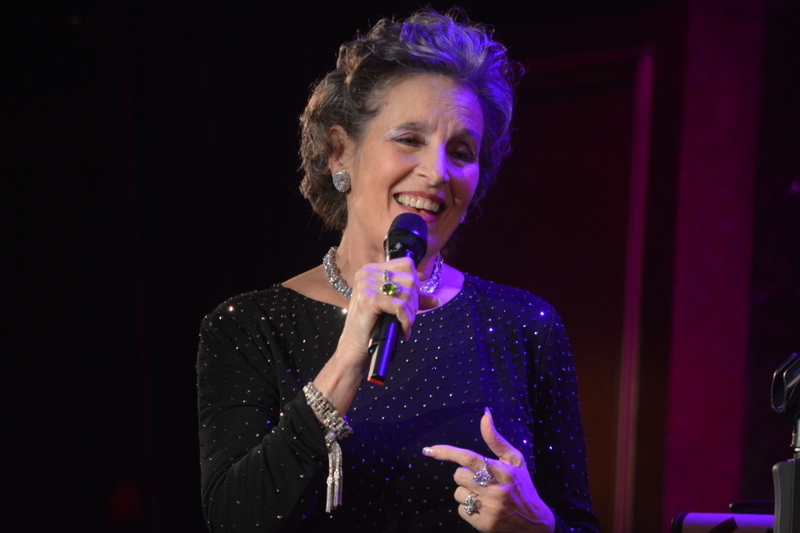 Peeking through the door before the introductions, she looks happy, not at all nervous, smiling broadly as the audience in a packed Feinstein’s 54 Below are chatting, drinking, anticipating the main event, the “Queen of Cabaret,” Andrea Marcovicci. She has grown into the charismatic entertainer every cabaret aficionado wanted to see, it is almost show time and she is ready to sing. Landmarks and turning points form Andrea Marcovicci’s latest show, Crossing Time, as she celebrates her 70th birthday with two shows in one evening. 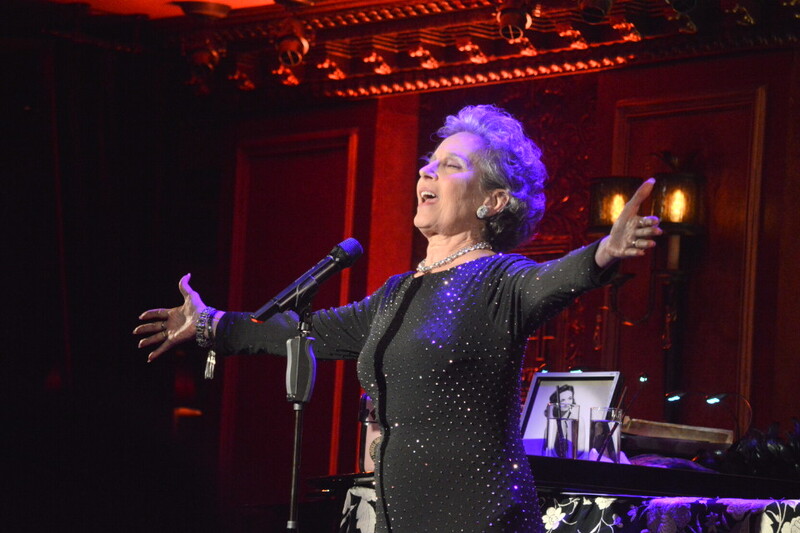 There are all those special trimmings – birthday cake, special original title song written, and most important, those milestone songs to memorialize this night that might be her last New York solo cabaret performance. If it was her last show, what we will miss is watching a proven actress side step up confidently with songs formed into a play. Outstanding are four Irving Berlin ballads, opening with “Say It Isn’t So,” as Marcovicci seems to ponder a possible breakup, “Say that ev’rything is still okay/ That’s all I want to know.” Then “…now that our love dreams have ended…”, she wonders, “What’ll I Do?” a break of fear in her voice. Lightly and briefly, she looks back to happier days with “Remember” when she learned to love but “You forgot to remember.” The love story ends hard, heart broken, hope gone with “Supper Time” when “that man o’mine/Ain’t comin’ home no more.” Hearts are broken but Marcovicci’s voice was strong, with a confident lower register and notes right on target. Of course, many individual songs are chosen for the stories they individually tell. Christine Lavin’s “The Kind Of Love You Never Recover From” reflects an elderly couple, each with a personal story, never told, never forgotten. Her music director and accompanist, Shelly Markham had written “Henry” with Judith Viorst, a touching tale of childhood sweethearts grappling with hard times. She includes Bob Merrill’s “Mira,” a nostalgic look back home, “where everybody knew my name.” This segment of youth and innocence ends with “Ribbons Down My Back” by Jerry Herman. Always in touch with her audience, delivering each word to someone, maybe him, maybe her, maybe that group, maybe you. She locks eyes and smiles. We are all in this together, but as the song from Ira Gershwin and Kurt Weill’s, “One Life to Live” says, “If there’s a party, I want to be the host of it,” Marcovicci is the host tonight. 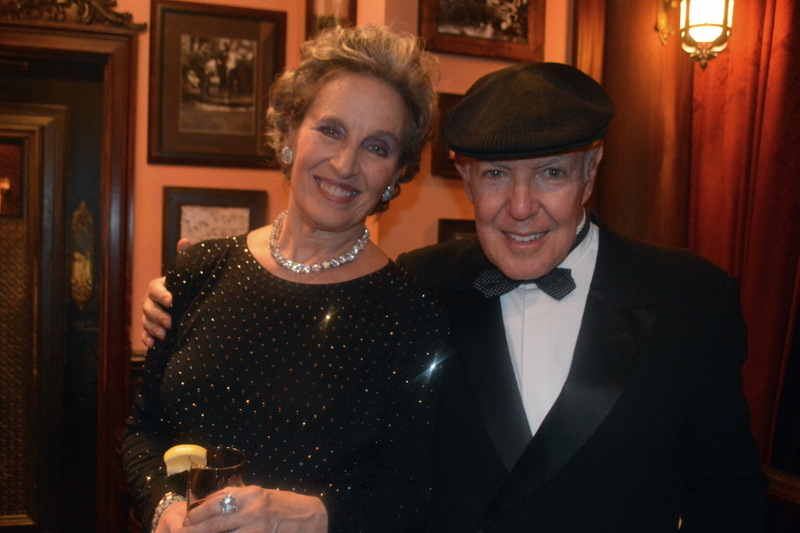 Those who have seen Marcovicci during her reign in the Oak Room (and who hasn’t? ), remember her mother’s Thursday night appearances. A photograph of the late Helen Marcovicci in her glory days as a 1940’s nightclub chanteuse sits on the piano. Her lush signature song, “Take Me In Your Arms” (Mitchell Parish and Fred Markush) was given a dramatic rendition by daughter Andrea. The European melody by Markush was followed by “Springtime” (“Frühling”) by Marcovicci from Joshua Sobol’s play Ghetto. A notable turn to the end is “Crossing Time,” a song written for this show with lyrics by long-time associate Lesley Alexander to music with Shelly Markham, again the picturesque story of life’s milestones linked by holding hands. 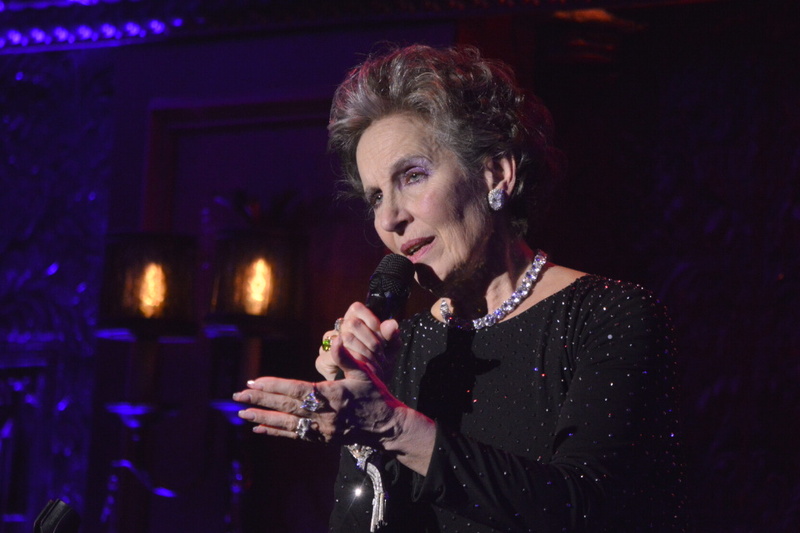 Will this really be Marcovicci’s last New York solo cabaret performance? Come on, say it isn’t so.